Light not only serves to provide visual pleasure and highlight the aquarium, it is also essential to its equilibrium, as fish, like most living beings, need the alternation of day and night, which acts as a biological clock. The action of light also makes it possible for plants to perform photosynthesis and grow. 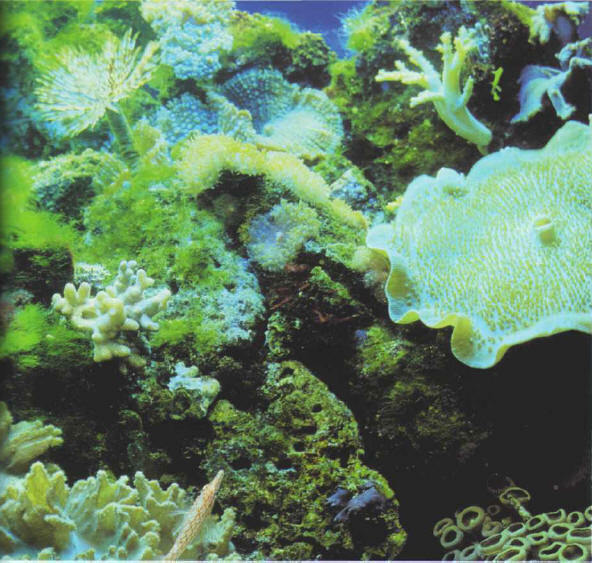 Marine invertebrates that play host to micro-algae require strong lighting. An aquarium must therefore be equipped with a light source which resembles as far as possible the one found in their natural habitat, as regards quantity and, most important, chromatic quality. Obviously, the best light would be that of the sun, which permits life on our planet. It is unfortunately impossible to take full advantage of it in an aquarium, for two main reasons. Firstly, it cannot be quantitatively dosed. This means that too much light often causes the growth of unwanted algae, and so it is important not to directly expose a tank to natural light, especially if it is facing south. On the other hand, if the direct influence is deficient, the aquarium does not receive enough light to ensure that the plants grow satisfactorily. Secondly, sunlight does not adequately highlight the aquarium and fish. the duration of the lighting. You must be realistic as regards what you can achieve: no artificial light is going to be the same as sunlight. It is, however, possible to get close, ideally with a combination of different complementary light sources. The total intensity provided by the lighting is an extremely important factor, as plants must be provided the amount of light they need to grow in this artificial environment. It is inevitable, however, that some light is lost, particularly if the beams have to travel long distances. The importance of the intensity of light (expressed, for the sake of simplicity, in watts) is often underestimated, and as a result many aquariums are under-lit. It is unusual to find cases of overlighting. 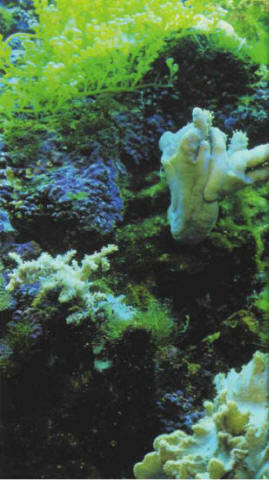 Light is recognized as being important for plants, and also for marine invertebrates. It must be sufficiently strong to reach the bottom of the aquarium. The tables on the following pages give the indications required for obtaining an optimum amount of light for your aquarium. As a general rule, the use of fluorescent tubes is generally recommended for water up to a height of 0.5 m.
Part of the light is reflected by the surface of the water, another part is absorbed (the deeper the aquarium, the greater the importance of the absorbed light), and a final part is diffused by suspended sediment. It is estimated that the bed only receives 20-30% of the total light, which can be detrimental to the growth of small plants. maintain the depth of the water below 0.5 m if you are using fluorescent tubes. ТУБЕРКУЛЕЗ РАСТЕНИЙ , бактериальная болезнь. Наиболее вредоносен для маслины (объект внешнего карантина растений), олеандра, ясеня и свеклы. На ветвях, листьях, соцветиях, корнях шероховатые наросты с полостями (каверны), наполненными возбудителем.